Address: 61022, Kharkiv, Pravdy Ave, 13, KZOZ "OKL-CEMD and MK." The Department conducts training work based on neurological department of KZOZ "OKB - CEMD and MK". Since 2002 teaching neuroscience has also been based in 15th city hospital for children that helps students to study childhood neurology. Academic work of the department is aimed at preparation of students of the 4th study year for the subject "Neurology" and teaching "Reflexotherapy" to the students of the 5th study year. In 2007, the department developed a modern standard curriculum on "Neurology" for medical students of III - IV accreditation levels in specialties "Medicine", "Pediatrics" and "Prophylactic medicine." The department regularly conducts seminars and meetings for heads of neurology departments, coordinating educational process according to a credit-modular system in the framework of the Bologna process. 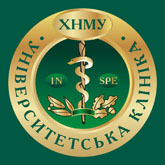 In 2006, the Ministry of Health of Ukraine accredited the department for postgraduate training of neurologists in the field of "Structural and functional diagnosis of diseases of the nervous system." In order to improve preparation for the licensing exam test "Krok-2" students solve diagnostic problems with the help of teacher's explanations during every practical class. 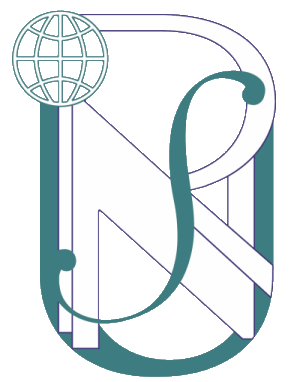 For many years the department has successively trained medical interns in "Neurology". Since 2002, the department has trained 10 medical residents neurologists. Quality of teaching work includes the development of guidelines, which are successfully implemented in the educational process. For each practice session of Neurology according to the requirements of credit-modular system syllabi were created for teachers and students in Ukrainian, English and Russian mediums. The syllabi are reviewed and supplemented annually. The staff of the department published a textbook for medical students of III-IV accreditation level "Nervous Diseases" edited by Professor Ye.G.Dubenko and S.M. Vinichuk in 2001. The exhibition of achievements of higher educational institutions in 2002, granted this tutorial II Prize. 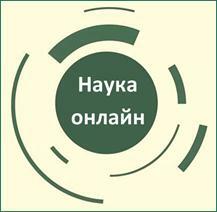 "Clinical Pharmacology" in 2 vols (2005); textbook "Clinical Pharmacology" (2008); tutorial "Clinical anatomy of the brain and the head," co-authored (2002) book "General and clinical psychotherapy" approved by Ministry of Health of Ukraine in 2003; manual "Neurology in charts and tables" (2002, 2004., 2007). (Russian, Ukrainian., English languages) approved by VMO Ministry of Health of Ukraine; manual "Emergency neurology" (2003 ..) ISBN 966-635-447-0 500 CMC with VMO Ministry of Health of Ukraine; manual "Dermatomyositis-polymyositis, and neurological disorders" (2003) VMO Ministry of Health of Ukraine; manual "Guidelines for non-pharmacological rehabilitation and psychotherapy of patients in neuropsychiatry" (2005 ) CMC with VMO Ministry of Health of Ukraine; manual "Nootropic remedies" (2005) ISBN 966-7744-29-9 CMC with VMO Ministry of Health of Ukraine; manual "Main organic brain diseases" (2008) with the approval of the Ministry of Health of Ukraine. ISB N 978-966-593-674-9, UDC 616,831; manual "Neurological and mental development of young children. Methods of examination and semiotics of diseases of the nervous system "(in English) (2006) CMC with VMO Ministry of Health of Ukraine; manual" Neurological manifestations of HIV infection "(Ukrainian, Russian., English Language) (2005); guidelines "Tunnel neuropathy"(2007); guidelines" Neurological disorders in Lyme disease (tick borreliosis) (2007); guidelines "Functional and structural methods for diseases of the nervous system" (2008). During the last 10 years principal researches performed by the Department of Neurology focused on comprehensive studies of various components of the metabolic and bioenergetic homeostasis of the nervous system in various pathological conditions in order to optimize the diagnostic and prognostic approaches and treatment tactics for neurological diseases. - Traumatic brain injury and its consequences. Over the past 10 years, the department of neurology implemented the results of researches in 2 doctoral and 17 candidate theses, published 8 books, over 250 papers and received 28 patents for inventions. The department continues to train masters of medicine, PhDs, Doctors of Medical Science in Neurology. monograph co-authored "Acute purulent peritonitis" (1997), co-authored monograph "Etiology and pathogenetic mechanisms for a model of atherogenesis" / experimental study. / (1997), co-authored monograph "Surgery of complications of tropical diseases" (1998); monograph "Structural and metabolic mechanisms of atherosclerosis development"(2001); monograph "Justification of mechanism of participation of kynurenine tryptophan metabolism in the formation of a vascular condition" (2002); monograph "Stress. Systems of regulation and energy exchange in the brain and heart "(2002), a monograph" Mechanisms of neurotropic effect of kinurenine "(2003), co-authored monograph "Treatment of acute pulmonary syndrome at polytrauma "(2005). The main clinical setting for Neurology is a neurological department of KZOZ "OKB-CEMD and MK", which is designed for 70 hospital beds. Areas of classrooms and laboratory space, at the department and the total amount of square meters: training rooms - 9, among them equipped with stationary vehicles - 8, the total area of the department is - 240 sq.m. In order to open new clinical facilities the Department signed a cooperation agreement with the 15th City Polyclinic for Children and regional hospital for Children. Current lecture hall № 1 is in Regional Hospital (number of seats - 270), equipped with all necessary facilities. There are three laboratories at the department: two electrophysiological and a biochemical one. The department operates a computer class in which 7 computers are used in the educational process. Also the neurological department of Regional Hospital collaborates with such departments as: physical therapy (reflexology, manual therapy, massage, electrical and hydrotherapy), department of Anesthesiology and Intensive Care (20 hospital beds). Consulting activity at the neurology department is performed by 14 employees of teaching staff: Professors - 2; Associate professors - 5; Assistants - 7, along with medical residents - 3, masters - 1. Total Department staff comprises: higher category neurologists - 10 people., first category neurologists - 3 people., second category neurologists - 2 persons. Clinical activity of the department staff include: curation of patients in neurology department, which includes rounds of professors and associate professors 2 times a week, counseling patients at consulting unit of KZOZ "OKB-CEMD and MK," counseling of districts of Kharkiv region with the planned visits of at least 4 times a year, conducting consultations, clinical, clinicopathologic and scientific conferences, maintainance of the activity of the Regional Association of Neurologists and reviewing histories of patients who died. The department operates biochemical laboratory, with potential to conduct blood lipid spectrum research, trace elements and more. Department staff has many plans for the further development of Ukrainian neurological science, as well as training and education of students and doctors.